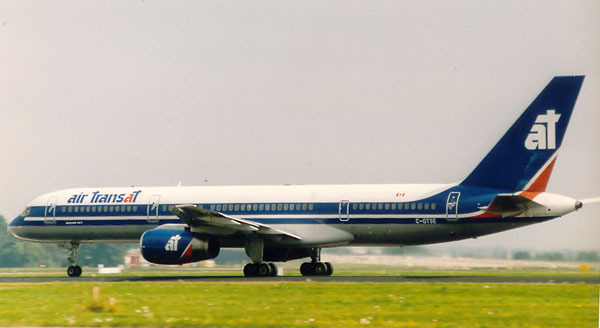 Boeing 757-23A C-GTSE (c/n 25488/471) is quickly gaining speed, on take off from Amsterdam and homeward bound, in 1996. 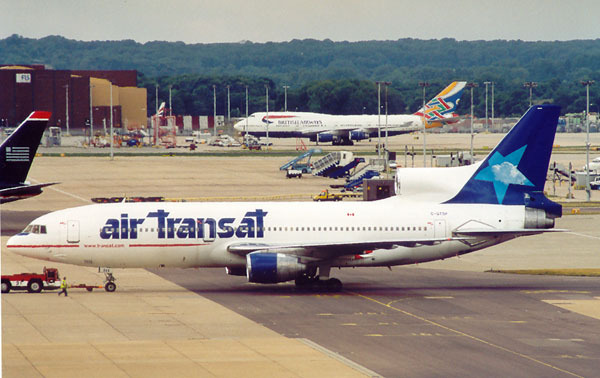 Even anno 2005 Air Transat is still operating 3 Lockheed Tristars, while most Western operators have replaced this Old Jet... One of those 3 is Lockheed L-1011-385-3 Tristar 500 C-GTSP (c/n 293B-1242), which is seen here -in the new livery- getting its push-back from the gate at London-LGW on 07Aug00. 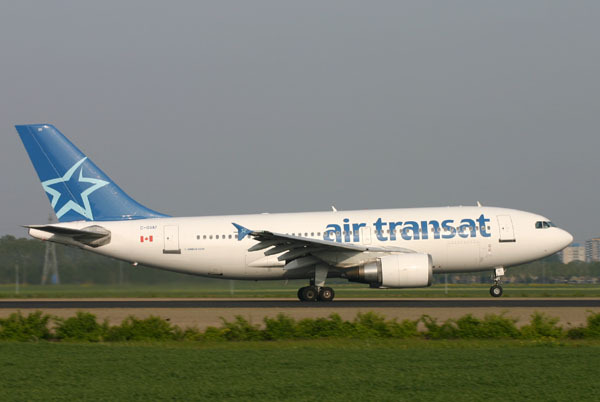 Airbus A310-304(ET) C-GVAT (c/n 485) is seen here taking off from rw36L at Amsterdam IAP (AMS/EHAM) on May 14th, 2005.